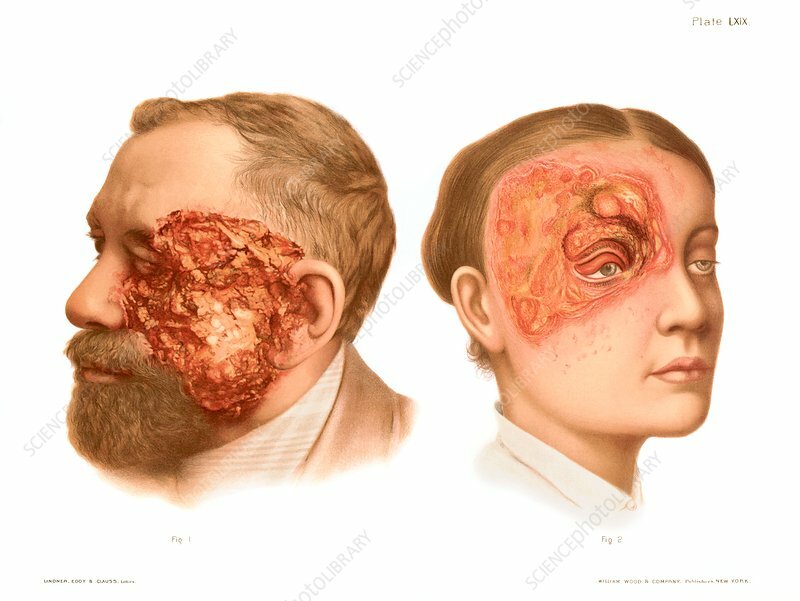 Cases of extensive epithelioma (left) and rodent ulcer (right), historical medical illustration. Epithelioma is an abnormal growth of the epithelium, a layer of tissue that covers the surfaces of organs and other parts of the body. It may be benign or malignant. A rodent ulcer (basal cell carcinoma) is a common form of skin cancer, and is most often caused by over-exposure to sunlight. From Atlas of Venereal and Skin Diseases by Prince Albert Morrow, published in 1889.